The Epic of God and Man retells the Old Testament narrative in chronological fashion and in its historical context, thus allowing its teachings and doctrines to unfold as they did in the course of history. To be sold through Amazon.com and ALEV Books. All profits from the sale of this book go towards its translation into other languages. Traces the impact of philosophy, science and theology and shift from and agricultural to a post-modern society on Christianity. Sometimes complex arguments are present in a style accessible to ordinary readers. It then presents a model of the church as a counter-culture in whatever society it finds itself. An ideal book for students preparing to study the humanities in a secular university. 366 pages. This book provides a quick but comprehensive overview of the Turkish language. Its strength lies in its topical arrangement, its simple explanations and its index of suffixes for easy reference. In addition, the fact that every example is translated into English means that one is not left struggling with word meanings while trying to figure out a particular grammatical construction. This book provides a quick but comprehensive overview of the Kurdish dialect Kurmanji. Its strength lies in its topical arrangement, its simple explanations and its index of suffixes for easy reference. In addition, the fact that every example is translates into English means that one is not left struggling with word meanings while trying to figure out a particular grammatical construction. The work covers the history of Protestant Missions to the Middle East from its inception to the 21st century. Periodization reflects the political events, social norms, beliefs and convictions of the various eras, both within the Middle East and the home environments of the missionaries who left for the region. The book provides a comprehensive framework for understanding the progress of the missionary enterprise in a larger context. 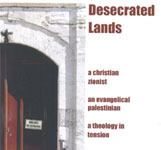 Ideological novel dealing with Christian Zionism. A young Evangelical wrestles with such unequivocally biblical teachings as righteousness, justice and mercy, and their relationship with Christian Zionism and the imprecise doctrine of eschatology. A dysfunctional missionary interacts with an upright Muslim.